FIRST TIME! West Lakeview Menorah Lighting! Hot Latkes! Delicious Donuts! Chocolate Coins! Music and more! 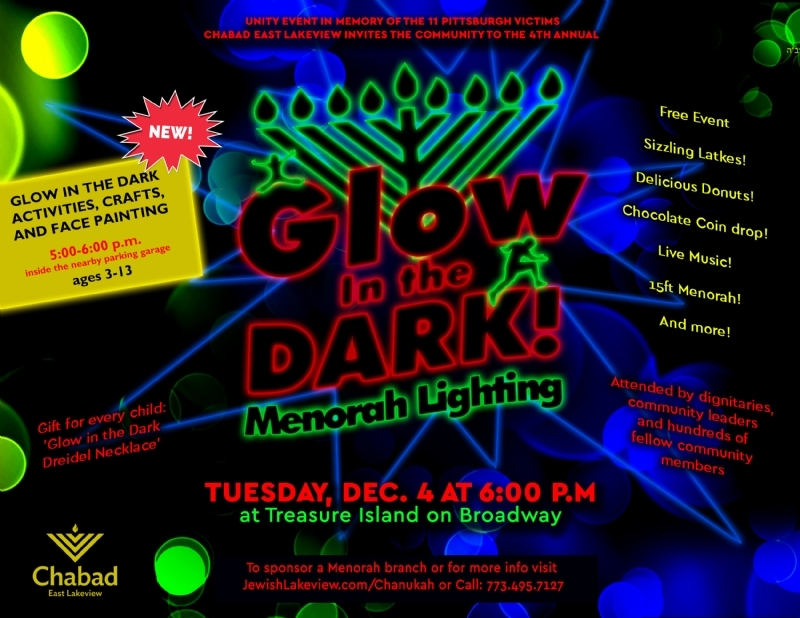 Live Music, Sizzling Latkes, Fresh Jelly doughnuts, Chocolate Gelt, Words from Community Leaders, Gift for every child (glow in the dark Dreidel) and MUCH MORE. Join us for our other Chanukah 2018 activities!